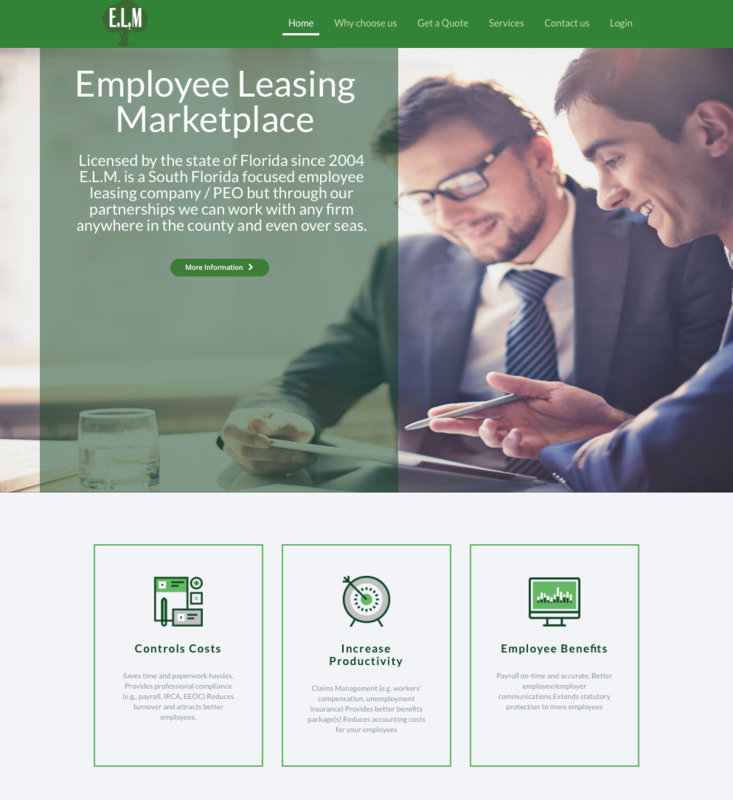 Employee Leasing Marketplace Inc., as its name implies, is THE place to go to shop for the Employee Leasing Company that best suits your company's needs. Our staff is comprised of professionals with a combined 30 years’ experience including ownership, sale and purchase of Employee Leasing companies (aka Professional Employer Organizations, or "PEOs"), as well as an intricate knowledge of the Workers' Comp market and pricing. The Web Creative Group was tasked with creating an informative website that would work on all platforms. 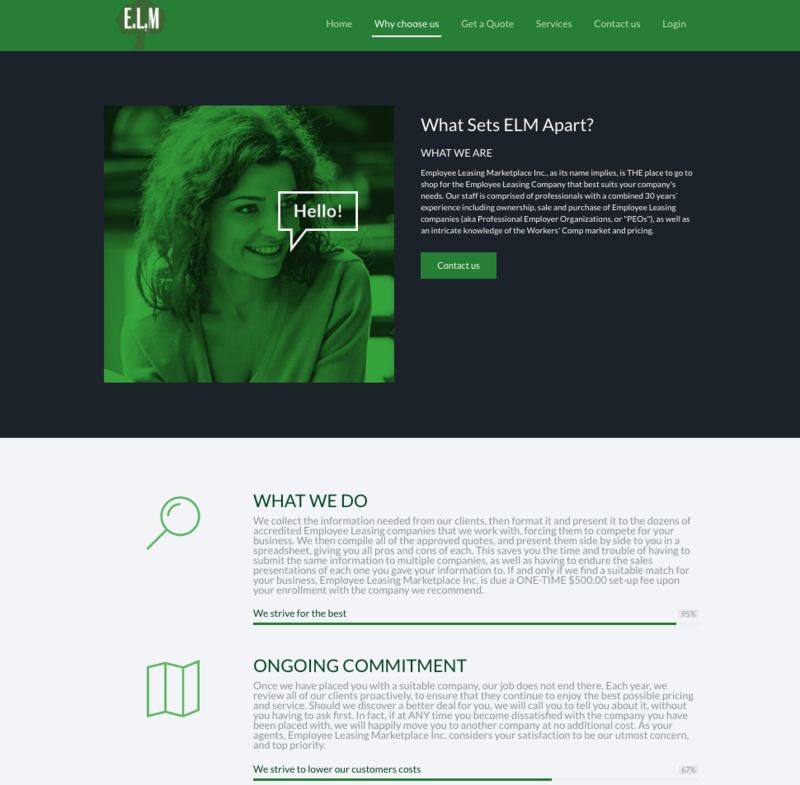 Due to the clients specific requirements we chose to utilize a customized theme and specialized plugins integrated to the platform for the foundation of the website. Additional functionality was added for clients to log into their accounts. Please give us call or send us an email with any questions. © 2017 All Rights Reserved and Website by The Web Creative Group.